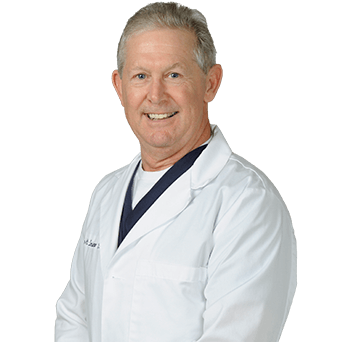 John is a board-certified physician assistant and diplomate of the Society of Dermatology Physician Assistants (DSDPA). He has been practicing general, surgical, pediatric, and cosmetic dermatology since 1997, with a special interest in diagnosing skin cancers. Originally from Boston, John served six years active duty in the US Navy Medical/Dental Corps. He earned a bachelor’s degree in physiological psychology and a bachelor of arts in history from the University of California-San Diego. John then completed his master’s degree in physician assistant studies from Western University of Health Sciences in Pomona, California. He is board certified in both surgical and family medicine. Before his medical career, John was co-proprietor of three restaurants in Los Angeles, with one being honored as Restaurant of the Year. Being in the business of providing service to his customers, John developed extraordinary people skills, laying the groundwork for his down-to-earth approach in patient satisfaction and care. Outside of work, John’s interests include reading, autograph collecting, gardening, landscaping, and traveling.